This is a good result overall and when considering the G15’s other features such as the flexibility of the new high-speed zoom and reduction in size over pervious iterations it’s a extremely well-balanced and attractive package. For consumers the choice remains whether to spend more an equivalent micro four-thirds camera with a number of lenses to match the same kind of flexibility or whether to restrict that versatility somewhat by selecting a more compact model such as the S110. 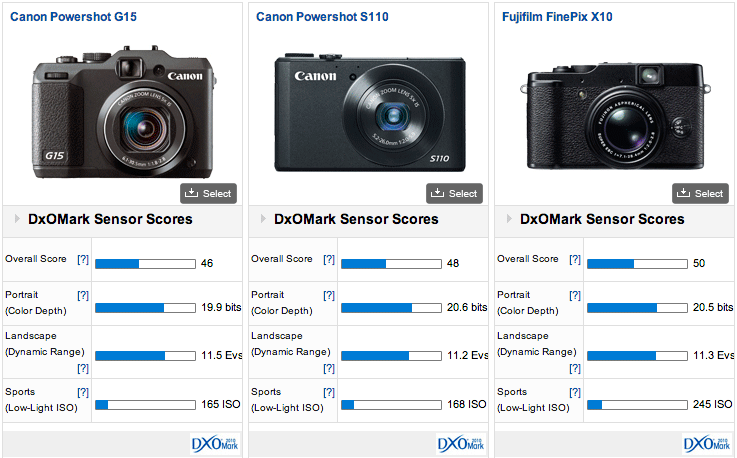 Alternatively, you could consider the G1X or Sony RX100, both offer superior low–light performance with only a small premium to pay in both size and price. 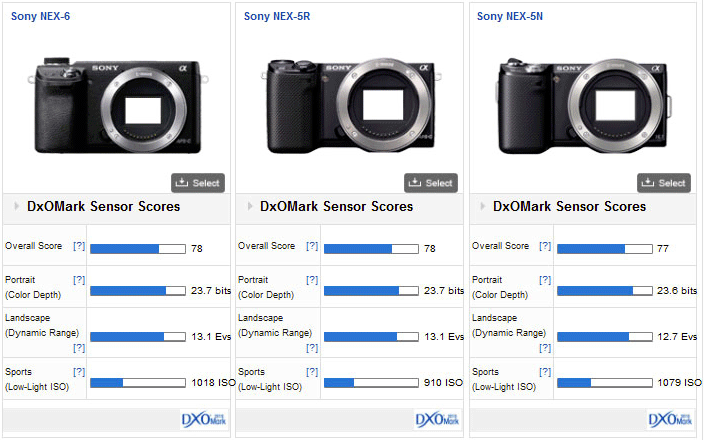 This entry was posted in Canon, Sony and tagged Canon PowerShot G15, DxoMark test results, Sony NEX-6. Bookmark the permalink. Trackbacks are closed, but you can post a comment.